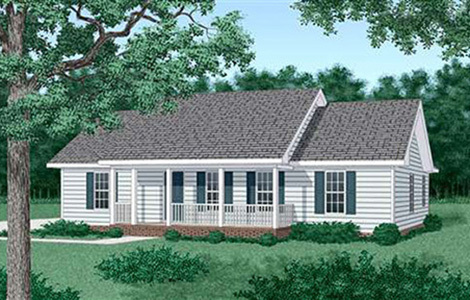 Ideal for the small to medium size family, the Corona features a functional front porch for pleasant "rocking chair" relaxation. The spacious living room/dining room area with its free-flowing floor plan and open kitchen makes for roomy, uncluttered living. Other special features: Master bedroom has large walk-in closet and private full bath. Bedrooms 2 and 3 have walk-in closets and a conveniently located full bath. Foyer has guest coat and hat closet. 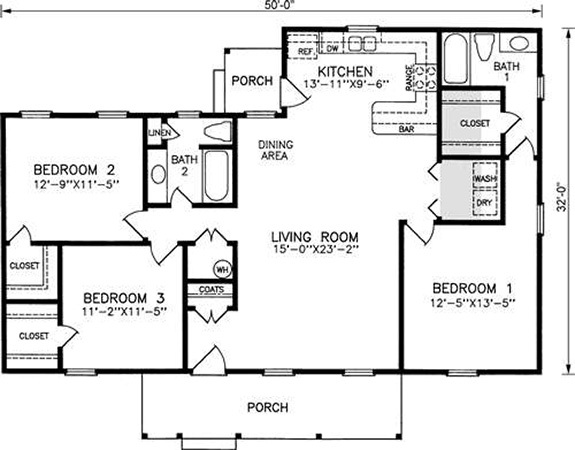 Plan is also available with optional basement. The Corona, sensible and attractive, meets practical and aesthetic needs within a reasonable budget.